Today: You're waiting for asparagus and peas, we know, but don't forget about spring's lesser-known, lesser-appreciated celebrities—radishes, spring onions, and green leaf lettuce. It's no coincidence that the first time I hit "publish" we were right in the middle of cherry season. When I started writing about seasonal food, I was in love with all the stars: the tomatoes and peaches and corn. 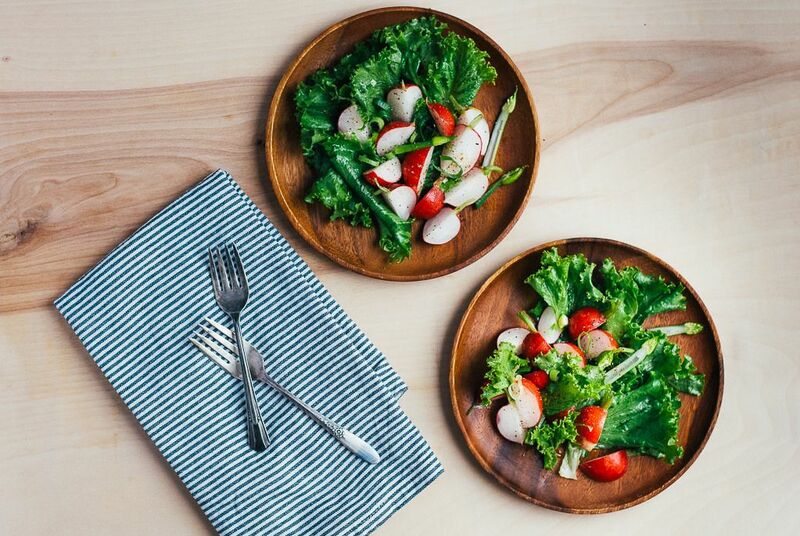 But now, it's the first foods of the growing season I love most: flashy ones like asparagus and strawberries, of course, but also quieter ingredients like lettuces, spring onions, and radishes. Spring lettuce starts off faintly bitter and tasting of dirt (in the best possible way); it has an earthiness, but a grassy earthiness—not at all like winter roots. With just a little lemon, some good salt, and as much pepper as you care to use, these delicate leaves sing. 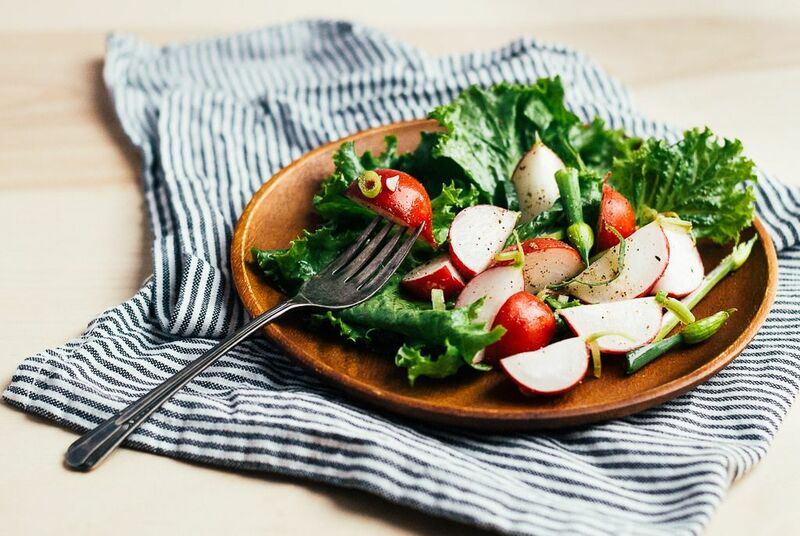 Admittedly, this salad is not new—it features torn green leaf lettuce, a vinaigrette, and salted radishes—but the novelty is in the timing. That first great salad bite is as wonderful and welcoming as a mild breeze on a pretty night or the first titter of spring peepers. Delicate lettuces bruise and collapse easily, and should be torn and dressed carefully. We can take them for granted soon enough, but for now, caution is the watchword.